A compassionate, personal, and illuminating work of nonfiction that draws on the author's celebrated work as a director of socially conscious theater to connect listeners with the power of an ancient artistic tradition. For years Bryan Doerries has been producing ancient tragedies for current and returned servicemen and women, addicts, tornado and hurricane victims, and a wide range of other at-risk people in society. Here, drawing on these extraordinary firsthand experiences, Doerries clearly and powerfully illustrates the redemptive and therapeutic potential of this classical, timeless art: how, for example, Ajax can help soldiers and their loved ones grapple with PTSD or how Prometheus Bound provides insights into the modern penal system. 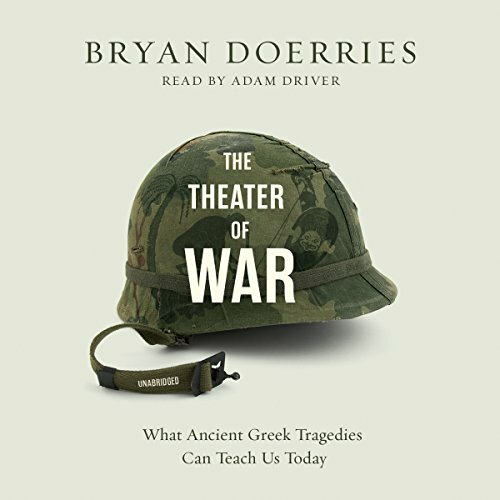 Doerries is an original and magnanimous thinker, and The Theater of War - wholly unsentimental but intensely felt and emotionally engaging - is a humane, knowledgeable, and accessible audiobook that will inspire and inform listeners, showing them that suffering and healing are both parts of a timeless process. ©2015 Bryan Doerries (P)2015 Blackstone Audio, Inc.